Hello everyone! I’ve been waiting to be able to share the cover for Redemption with you, and that day is finally here! I actually had difficulty choosing between two completely badass covers. They both caught the feel of Redemption perfectly, but because of the more global meaning of this cover (and with the wonderful input of some close friends) I decided on this one. What do you think? Does it pique your interest? 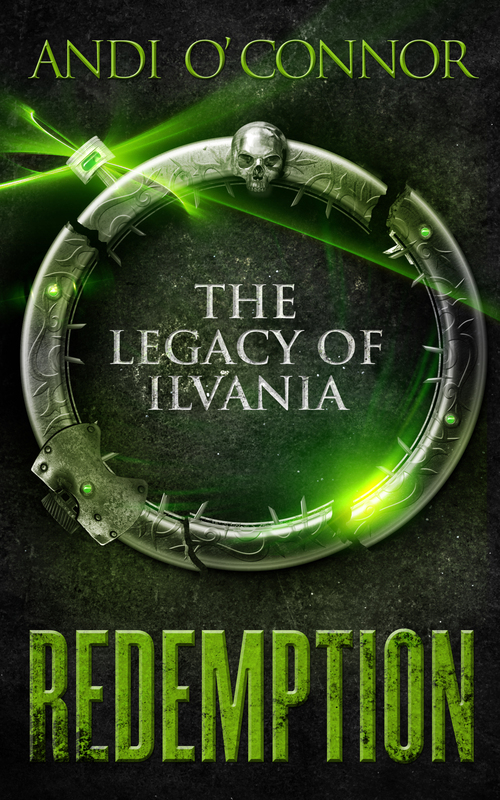 Redemption is the first short story in the dark fantasy series The Legacy of Ilvania and will be available in eBook in March! Check out an excerpt from the opening scene or listen to me read a selection in the Readings & Refreshments section on the Home Page of my new website.